You…Only Better (YOB) uses a pharmaceutical grade of HCG (human chorianic gonadatropin) which is manufactured and packaged in the U.S. This is very important in terms of strength, results and sterilization. There are other versions of HCG that DO NOT work and mostly water. Make sure you consult with an experienced and proven physician prescribed weight loss center like YOB before making a purchase. Combining our HCG (taken orally) with a low calorie diet creates a potent and effective weight loss solution. HCG has long been called the weight loss cure because it has been shown to create weight loss in areas where there is excess fat storage and maintain lean muscle while keeping patients satisfied without hunger. How is HCG Weight Loss with You…Only Better Different from Other Places? HCG weight loss was discovered by the British physician Dr. ATW Simeons. 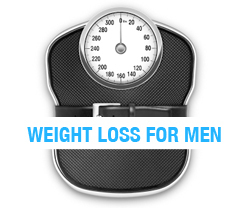 For thirty years, Dr. Simeons explored weight loss causes and treatments. Through his research, Dr. Simeons was able to create a link between obesity and the hypothalamus. He found that when the hypothalamus gland was not working properly, patients would have an intense physical hunger and would crave and eat when they were not hungry. This causes the body to create an abnormal storage of fat. Dr. Simeons observed that HCG had a positive effect on the hypothalamus by decreasing hunger. After administrating HCG to patients, the patients reported decreased cravings and they began to lose the abnormal fat storage. Even without exercise, patients lost weight and inches safely and quickly! Since Dr. Simeons’ research, clinical studies have documented the amazing results of HCG on weight loss. 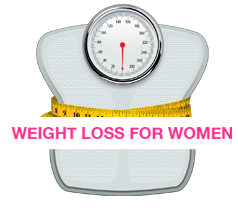 HCG can help patients lose weight where they need to lose faster than with low calorie dieting alone. Here are some additional resources while considering this weight loss method for reaching your personal goals.